The flood of band's reviving the nervy twitch and minimalism of 80's post-punk in the vein of Wire, Pylon, and The Fall has been constant enough to drown in. When done well, there's still magic to be found in the sound, unexplored knots of rhythms and new ways to contort punk. It could be argued that none do it better these days than Portland's Lithics. The band released their debut, Borrowed Floors, two years ago, a stunning record that cemented them as one of the underground's most exciting new bands. On May 25th, the quartet return with Mating Surfaces, their Kill Rock Stars debut, a tightly wound record that sounds something like a tool box falling down a flight of stairs, the contents rattling as they hurtle confidently forward. Lead single "Excuse Generator" cracks open with a sharp guitar riff that works in opposition to the ultra tight rhythm, it's perfectly coiled and ragged. Lithics work with jagged elements at their most fluid, the type of post-punk that will have your head bobbing or find you checking your pulse to make sure you're still alive. A quick barrage of shifting hypnotic grooves lay the perfect framework for Aubrey Hornor’s unshakeable vocals and lyrics as she asks, "Can I be myself? Can I talk to her? Can I see my dog?" Devolving into moments of pure discordant bliss, Lithics always snap right back into place. There's no one that does it quite as well as they do, digging into a whirlwind of perfectly mangled post-punk brilliance. Check out Lithics' just announced tour dates with Shopping and Stephen Malkmus & The Jicks below. 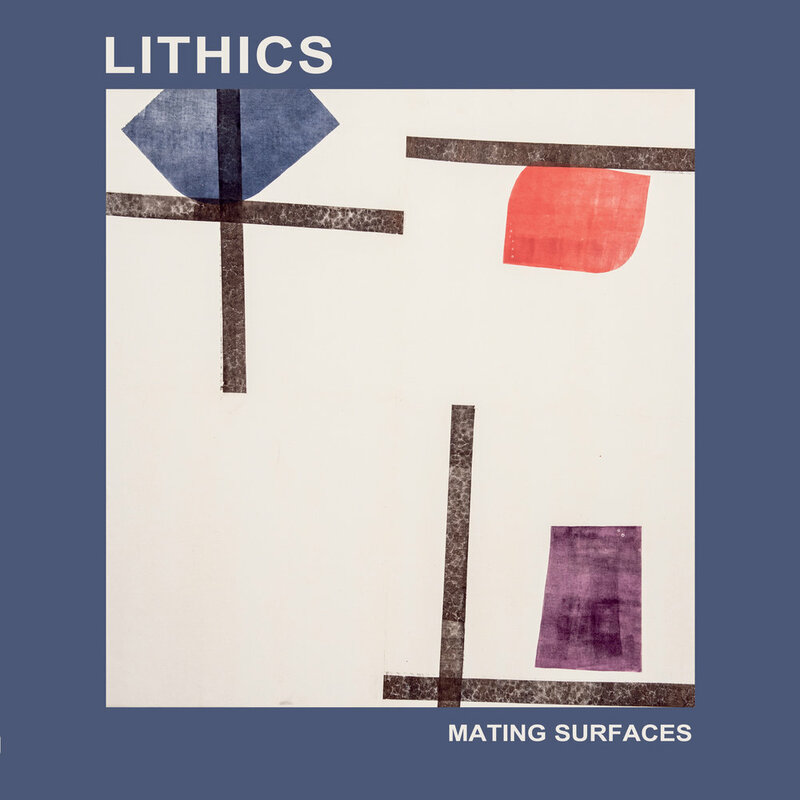 Lithics' Mating Surfaces is out May 25th via Kill Rock Star Records.